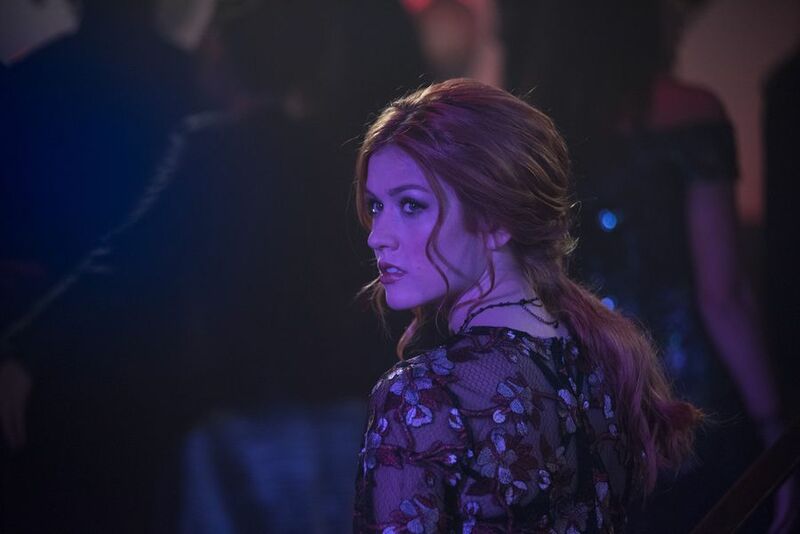 While we await the fate of Shadowhunters following its cancellation on Freeform, it feels clear that one of the series’ biggest champions is none other than series star Katherine McNamara. Since the sad news first came in, she’s done her part to lobby to save the show — heck, a #SaveShadowhunters tweet is pinned to the top of her account! What is so interesting about these sorts of campaigns, though, is that even though McNamara is a series regular and one of the most recognizable faces on the show, she’s not privy to more information than anyone else when it comes to its future. She is just one of many people who is waiting to see what happens and if there’s something that she can do, she’ll do it. Basically, we have no idea what’s going to happen with the show. I don’t know how it works. I don’t really know what the process is, maybe somebody else does. But seeing the tweets, seeing the support that you guys gave us from the get go was the most comforting thing and the most encouraging thing for us. We know what kind of fandom we have but seeing it first hand and seeing you guys come out of the woodwork to support us was mind blowing and it is mind boggling to see the effect you guys have. But, for me, what that does is show what kind of fandom we have, and when we come together and we work together, when we set our sights on something, we’re unstoppable. That’s a really beautiful thing but if nothing else and the show has to come to an end, I promise you we’re going to make you guys the most kickass series finale you have ever seen. This is about as inspiring a message as you’re going to get to keep rallying for more of the show. As an actor, the best thing that McNamara can do is support the #SaveShadowhunters effort while also focusing on her own performance. She may not know what the future holds at the time in which she is filming the final two episodes of the series (at least on Freeform); with that, she’ll probably put her all into Clary’s journey and make sure that it works as a satisfying conclusion. Based on where things ended at the end of season 3A, it’s clear that there is plenty to explore when it comes to Clary’s story from here.